Fixtures, results and all the latest news from Naas GAA! Kildare camogie team continued their great league form with a win over Roscommon, well done to Naas players Fiona, Kelly, Maria, Sarah and Aoife. Best of luck to the Kildare footballers who take on Tipperary tomorrow at 2.30pm in Newbridge , this fixture is a double header with the Kildare Ladies who face Meath at 12pm. Best wishes to both girls Feile football teams this weekend in their respective competitions. All the players have put in tremendous effort in training and we wish them and their mentors a very enjoyable and successful weekend. 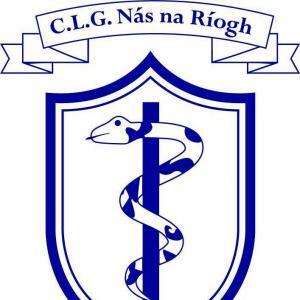 This year Naas GAA will hold a Football Camp from 15th – 18th April and a Hurling/Camogie Camp from 23rd – 26th April. Details of both camps will be available on our website in the coming weeks.